April 28, 2013 /Photography News/ The endless persecution of Muslim Rohingya continues in Myanmar’s Rakhine state and now they face further hardship as the monsoon season approaches the South East Asian country. Life in such an environment is not easy at this time of year, but when also faced with the constant threat of attack, torture and life in a sprawling dusty refugee camp, it suddenly becomes intolerable. 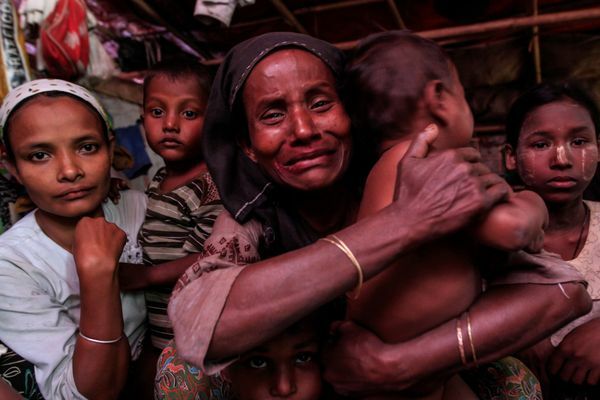 Unfortunately for over 100, 000 Muslim Rohingya this is a daily reality as thousands have been displaced from their homes since ethnic fighting between Rohingya and Rakine Buddhists broke out across Myanmar’s Rakhine State in June 2012. 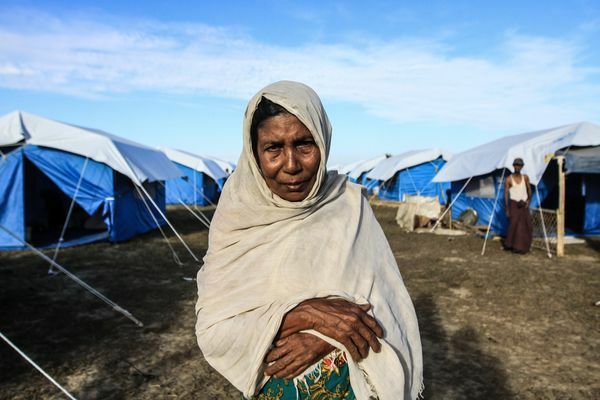 The Rohingya have been classified by the United Nations as one of the most persecuted minorities in the world and evidence of this is clearly visible in the refugee camps situated near the provincial Rakhine capital of Sittwe. Everybody here has a story, from the old women who frailly wander the refugee camps during the blistering day time heat, to the young children blissfully playing between the rows of makeshift tents. Thousands in the camps bear the scars of horrific violence, while others have lost entire families. 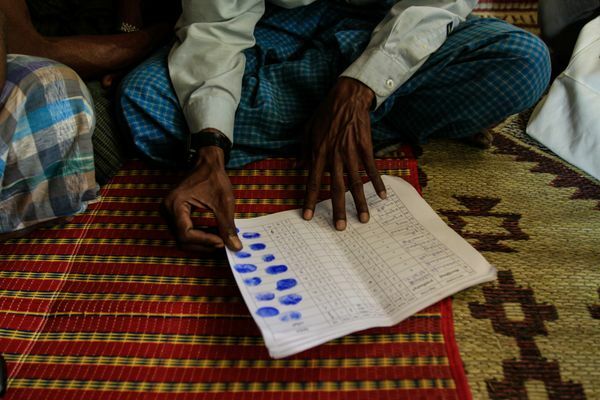 Many Rohingya on the back of such a faith have decided to flee Myanmar. An estimated 27,800 of them mostly from Rakhine state have left on risky boat journeys from the Bay of Bengal. Hundreds are believed to have drowned en route and many more have landed in countries like Thailand, Malaysia and Indonesia. The United Nations High Commission for Refugees along with other NGO’s and organisations are firmly on the ground assisting and providing relief to thousands of Internally Displaced Persons but their resources are stretched to near breaking point. Most Refugees are situated near the provincial capital of Sittwe, but others are much further afield in townships such as Mugadaw which are situated far from the capital. Most if not all the camps are at near capacity and increased international and local financial aid is badly required. Many of the camps lack basic sanitation facilities and also proper access to education and medical services are in dire need. So how can it be resolved? 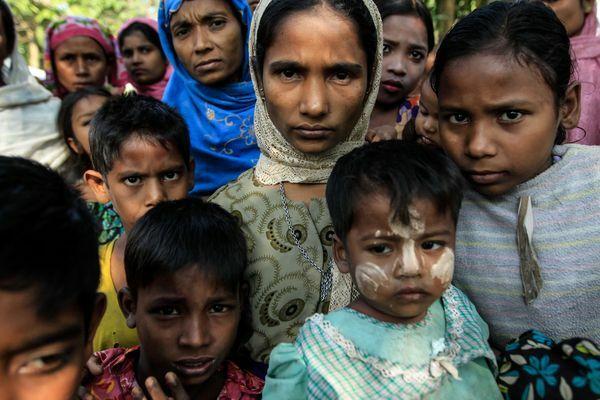 There is no overnight solution to this problem, and for the time being the faith of thousands of Rohingya remains uncertain, but what is needed immediately is International assistance in setting up dialogue between both communities to at least simmer the violence and allow agencies such as UNHCR and other organisations to continue to provide relief and assistance to the thousands of already Internally Displaced Persons within the country. Until such occurs, Rakhine remains on a knife edge. Phil Behan is a freelance photographer based in Guangzhou, China. The body of Phil’s work is focused mainly around documentary photography with a particular focus on stories about displacement, Integration and Refugee issues. The majority of his work has been published by the UNHCR and United Nations agencies. Phil also has a keen interest in Saharan travel and mountaineering. He has travelled extensively in remote sections of the desert, areas of which include Algeria's Immidir and Tefedest regions, Mauritania’s Majabat Region, Niger’s Tenere area and Mali's Northern Deserts. Previous clients include, The World Food Programme, Save the Children, The United Nations High Commission for Refugees (UNHCR), The International Organisation for Migration(IOM) UNDP, Unicef, UNESCO, Merip (Middle East Review Magazine), World Vision (Jordan), Jesuit Refugee Service, Afghan Scene Magazine, Focus Ireland, FID (UK) and The World Bank. Newswires and magazines publications include Al-Jazeera In-Pictures, The Shot Magazine Ireland, The Irish Times, BBC In Pictures, The Irish Examiner, Independent on Sunday, The Limerick Leader and The Washington Diplomat. An excellent contribution from the commenter above.If that is all you can offer then perhaps you should follow your own advice. Nice work.The media seemed to have forgotten about the Rohingya. 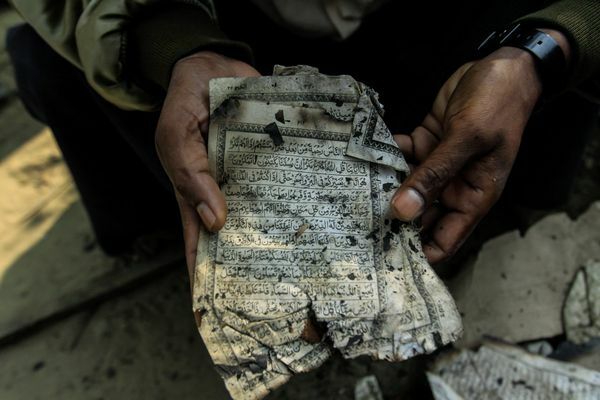 I find the picture of the burnt Koran verse particularly powerful, but love the entire body of work. Thank you for sharing! Excellent story,but would also be interested to see the Buddhist perspective.